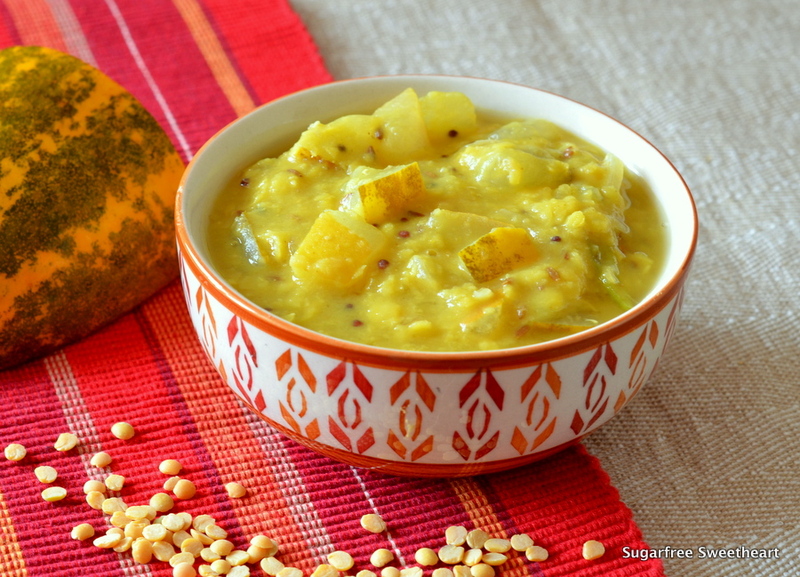 Some dishes like this Yellow Cucumber Dal are both comforting and flavourful. Dosakaya (in Telugu) or Sauthekai (in Kannada) is an interesting vegetable. 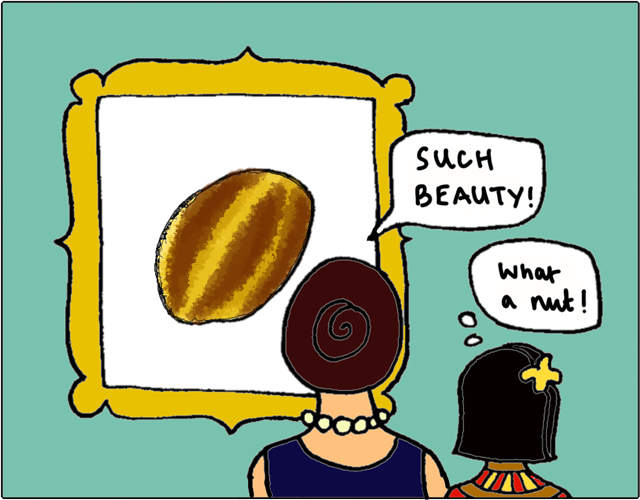 Its outer skin is almost a work of modern art – or so I think! The inside of this vegetable is crunchy and opaque, when raw, but becomes soft and translucent when cooked, with a soothing, mild flavour. The flesh of the yellow cucumber is mostly water but also contains vitamin C. The skin has a lot of fibre and minerals such as silica and magnesium. This recipe is made in the traditional Telugu culinary style and it can be eaten with either rice or rotis. You could also add a little extra water while cooking to get a soupy consistency and then, well, slurp it as soup! When choosing your dosakaya, make sure you get one which is more yellow-orange than yellow-green because the more orange the vegetable the less likely that it is bitter. Ensure that you taste test a piece for bitterness in any case right before you cook it — you don’t want to put in all the effort and end up with a bitter dish, right?! 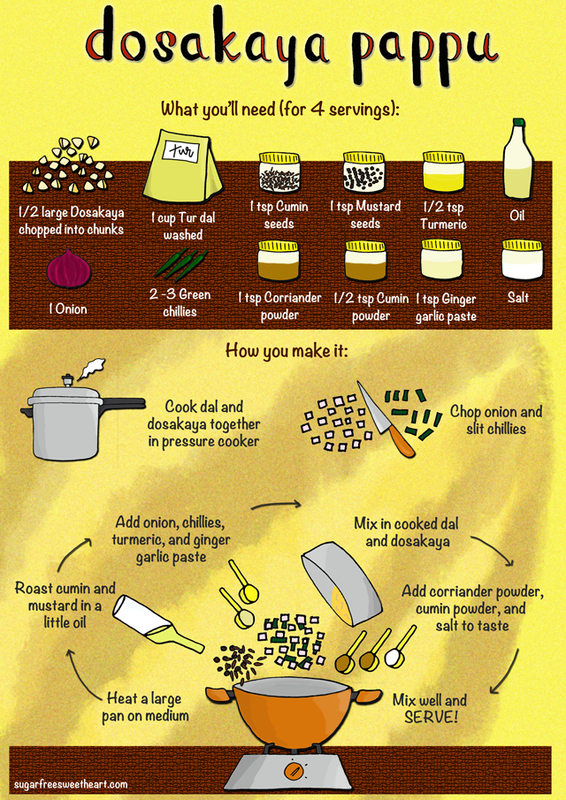 Before we get to the recipe, here’s a simple info-graphic on how to prepare this work-of-art vegetable. This recipe is suitable for diabetics, weight watchers, and comfort food cravers. For a milder version, leave out the ginger garlic paste and chillies. While cooking the dal and the yellow cucumber together, add just enough water for the dal itself. There’s no need to add any extra cooking water for the cucumber. 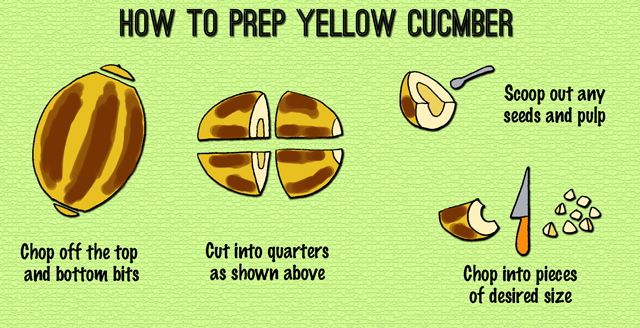 Some people prefer to peel the cucumber before cooking, so feel free to try it like that. We like ours peel and all! I completely forgot to add curry leaves to my version. Please add it in (while roasting the mustard and cumin) if you have them on hand! For a variation of this recipe, do check out this post by Aruna on her blog, Aahram! It’s something new to me! Love the illustrations! It has been much too long since I last dropped by, but I have been travelling and have not even seen a computer for days. It has been great to be away, but I am enjoying being home again, browsing my favourite blogs – and you really have cooked up some fabulous dishes – this looks really yum! Nice illustration…you must be a good teacher! I am familiar with this cucumber but I have used it only in buttermilk curry. This looks like a very interesting way to cook it. Great idea! Priya, I have never cooked with dosakaya before. Always wondered on how to cook these whenever I saw them at the Indian grocery store. Now I know and will pick it up next time to cook :). I’v never tried cooking with the peel. This looks delicious, will try! You’ve made me learn something new today 🙂 I didn’t know about the existence of yellow cucumbers. The illustrations are perfect! Thanks Sofia! Yellow cucumbers are a staple in South India but I think they are rather rare otherwise! How is the book going? Slow so far, I’ll admit. Planning to dedicate June and July to putting down the core of the cookbook and ease up on posting on the blog till then. Thanks for checking in! This is an interesting variation that I can use to spice up my Dosakaya Pappu. Thank you for the pingback!